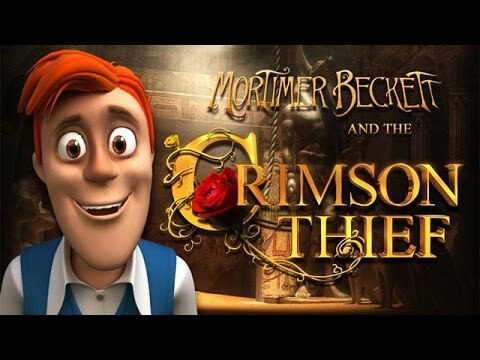 Follow Mortimer around the world to bring a mysterious thief to justice. "This game has been very enjoyable for me. Travelling to the different locations with Mortimer is fun. The puzzles aren't all as difficult as former Beckett games that I have played so I feel good about being able to solve without a tutorial. I have played all of the Mortimer Beckett games and am looking forward to a new release." As the famous adventurer Mortimer Beckett seeks to resume his simple life, museum artifacts from around the world begin to disappear. The young mystery solver cannot resist this intrigue of the case and is determined to find the stolen goods while bringing the thief to justice. Visit Paris, Rio, London and other fabulous destinations as you search for useful items and solve whimsical puzzles. Piece together the clues, complete amusing mini-games and finally uncover the Crimson Thief. Another fun Mortimer Beckett game. They are all a little different but the stories have been fun to play. My grandson loves to play them with me. I like hidden object games, but most of them are too dark. This on the other hand is a very light and fun game. A lot of fun to play. This is our third Mortimer Beckett game and we enjoyed them all. I enjoyed playing this game. It was a light-hearted Hidden Object game and covers a wide range of ages for people to play. I like this and all of Mortimer's games. As always, very challenging. Would like to see more. This is the best game I have played yet. Would like to play more like this one. Looking forward to my next game.